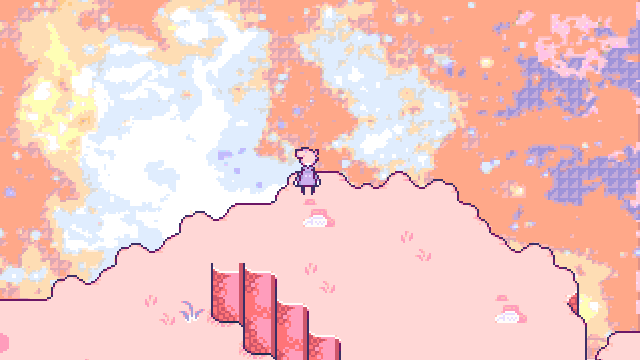 hi i made this for a game jam, it's pretty short but kind of lays out the groundwork for a larger game should i come back to this. You, the player, work at a convenience store? You're in a band? The ideas of these things more or less come to mind but oh man the colors, like why is everything so pink? What made that a good idea? Hey Fluidvolt! Tuckie doesn't pay attention to comments usually, anyways, from what I understand (which isn't much) the game was made in a custom modified version of RPG maker, and the comic was made with a variety of occult substances. Thanks for checking out our stuff!